You only need three simple ingredients and a few basic craft supplies to make Homemade Sugar Scrub with whatever scent you like. 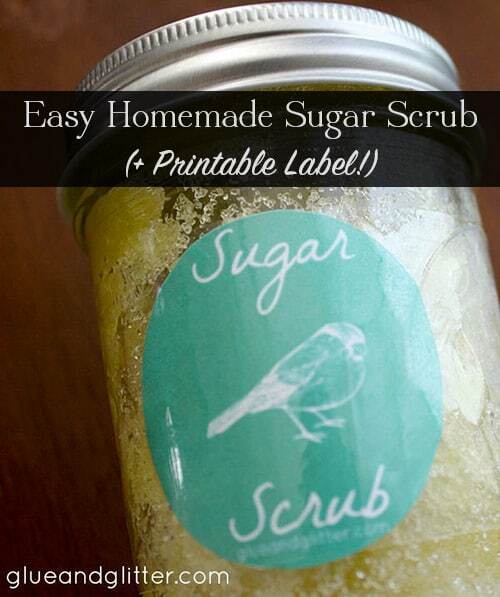 Get the recipe, plus snag a free printable label for your scrub. This weekend, I whipped up a jar of Meditation Scrub. I’d forgotten how easy is is to create a homemade sugar scrub! The sugar scrub that you’d find in the beauty aisle of a typical department store is not so great for your health or for the planet. All of that plastic packaging is a huge waste, and the scrub itself often contains harmful chemicals that are bad for us and microplastics that pollute our water. Store-bought sugar scrubs can even contain hidden animal ingredients. Boo! Are you bummed out? Don’t be bummed out! Homemade Sugar Scrub to the Rescue! You only need two basic ingredients, plus your favorite-smelling essential oil, to make your own sugar scrub. It takes only a few minutes to make – less time than finding your keys for a trip to the store. The oil that I used for my homemade sugar scrub is a Meditation Oil blend from Aura Cacia. My husband is in love with this scent, and I wanted to make a scrub that we’d both be happy to use. You can use any essential oils that you like, or mix and match to create your own custom scents. You can also leave it unscented, if you prefer. Customization is the joy of making your own bath products, right? Once you’ve selected (or decided to skip) your essential oil for scent, grab a bowl and fork, and mix it up with sugar and olive oil, then transfer to an airtight container. Since creating this recipe, I also shared it in my panel at the Georgia Organics Conference. I wanted to make this an even more special project, so I created a cute little printable label that you can stick to the top of a small mason jar or tape to the the side of a half-pint jar. The label is totally optional, but if you want to give this as a gift, feel free to use it as many times as you’d like! 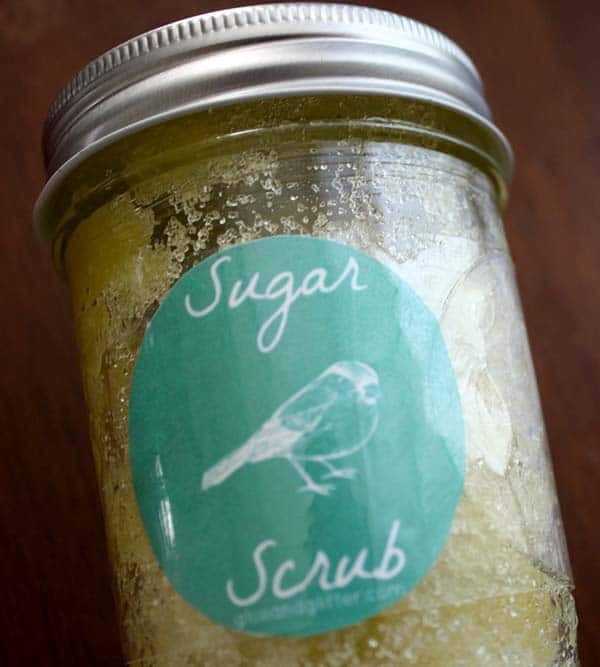 Water is the enemy of any homemade sugar scrub, so I recommend not storing this scrub in the shower unless you’re using it. Since you’re using your sugar scrub to slough away tough skin, you’ll get the best results if you use it toward the end of your shower or bath. That gives your skin time to soften in the warm water. When you’re ready to scrub, first dry your hands with a towel. Hold the jar away from the running water (if you’re showering), open it up, and use dry fingers to scoop up a generous dollop of scrub. Apply the scrub to damp skin, massaging gently. While you’ll see some results with the first application, gentle exfoliating like this gets better over time. Use this scrub every couple of days, and soon your dry, rough skin will become soft and moisturized. Ready to make some scrub? 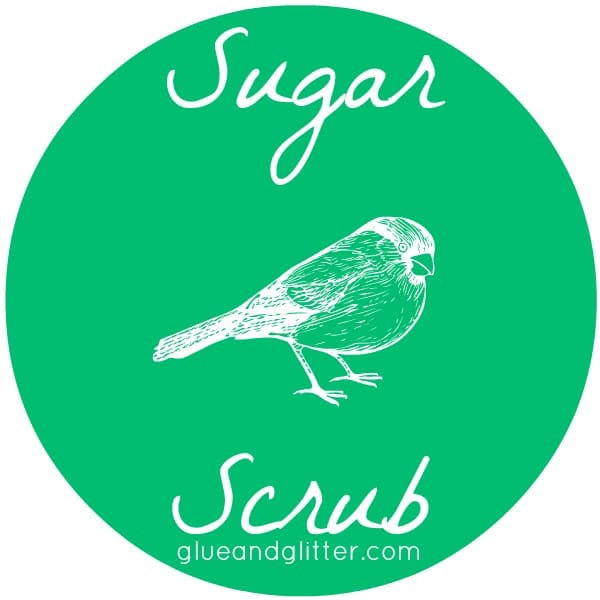 Let’s make some scrub! Combine your ingredients in your jar, stirring well to combine. If you’re using the printable label: Print it out, making sure it’s printing at 100% size in your printer settings. Cut it out, then use the packing tape to adhere it to the outside of the mason jar. You want to be sure that you use a piece of tape that’s long enough to wrap all the way around your jar and overlap slightly – maybe by 1/2″. That way, your label is protected from water. Use your homemade sugar scrub to slough away dead skin and moisturize. Just scoop out a generous amount in the shower, and massage onto your skin where you need it: knees, elbows, bottoms of feet, etc. 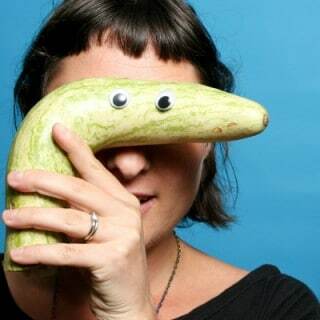 Ooh I bet that smells lovely. I love rosemary! I may have missed it in the directions, but how long will the scrub last after you make it? Ooh I will add that. I’d use within a week or two, since it doesn’t have chemical preservatives. Thank you for asking, Katy! That info will be useful to other folks too, I bet. Why can’t it be put into the refrigerator until use? This will keep it for a good while, but hopefully you use it so it doesn’t have to be in there for a long time. Just spoon some out and let it warm up or do the toaster oven for a very short time and it’s ready to use. I do not use a microwave so I don’t suggest it. Hope this idea works.